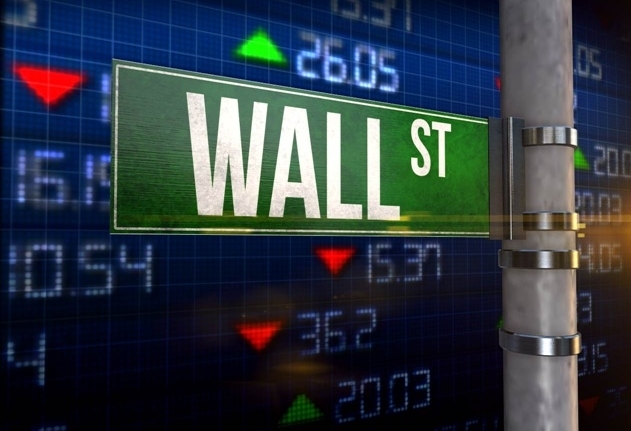 NEW YORK (CBS) – Wall Street saw fireworks on Wednesday, as technology stocks got hammered in what looks like “rotation” selling run amok. The FAANG stocks and semiconductors (leading issues for the market in 2017) suffered as wild selling on Nasdaq led to their worst falls in months. But bitcoin also went wild, rising above $11,000, dropping to $8,000, then closing with a modest recovery. Volatility has returned, with major moves in both directions. 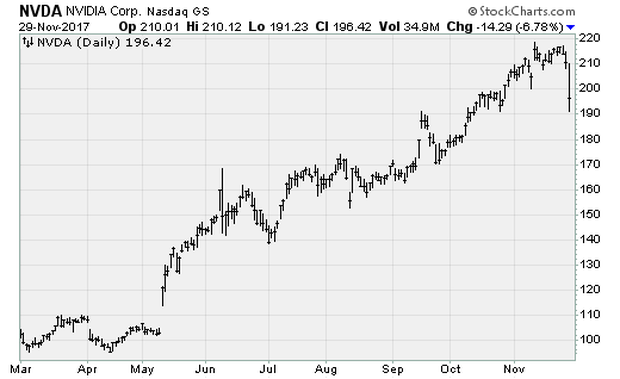 Tech names such as Nvidia (NVDA) were obviously losers (chart below), but others such as transportation stocks enjoyed a lift. It’s possible that end-of-year position squaring is underway, similar to the rotation from winners to losers seen in late 2015 and early 2016. In fact, Wednesday was the best day for the Dow transports since November 2011. The calm, easy gains the bulls have enjoyed since last year’s election seem to be ending. This is put-up-or-shut-up time for President Donald Trump and Republicans in Congress. They have no major legislative accomplishments, but the market is inflated on expectations for tax cuts, infrastructure spending and more with just a few weeks to go before year-end. Moreover, with GDP surprising to the upside, the Federal Reserve is on track for another rate hike in December and more tightening in 2018. The most likely outcome in Washington at this point: A narrow defeat for the GOP tax bill, based on prediction market odds, combined with a Fed hike and a possible government shutdown heading into the holiday break. 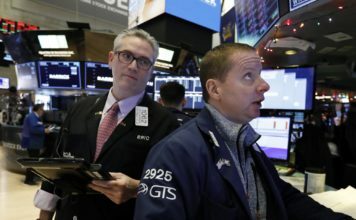 All this, plus the stock market not suffering a major pullback in more than a year, means prices are fragile, and investor sentiment is ripe for a bout of panic and fear. What about the move in bitcoin? 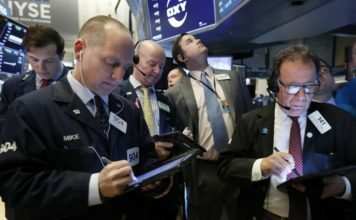 With some 300,000 Coinbase trading accounts set up during the week of Thanksgiving — with the total now more than at stock brokerage Schwab (SCHW) — it’s clear that cryptocurrencies are sucking some of the speculative juice out of FAANG stocks like Amazon (AMZN) and Apple (AAPL). And that ongoing weakness could spill from one market to the next. Consider that a California federal court has ordered Coinbase to turn over identifying records of its largest customers. Why? While the exchange has nearly 6 million users, only 1,000 US citizens have reported cryptocurrency holdings on their taxes.